In my last blog post, I shared a short financial literacy quiz. As promised in the post, I’m tackling each question in turn. The very first question was about mortgage renewal. Your mortgage is coming up for renewal. Your lender helpfully sends you renewal documents in which they list various options – terms, rates, fixed vs variable. They ask you to select your preferred option, sign on the dotted line and return the documents to them. Voila, mortgage renewed without fuss. Is that the best way to go to renew your mortgage? Why or why not? Are you seated comfortably? We’re about to do a deep dive into the world of mortgages and play a game where you can assign a Trip to the Dog House as well as win a GOLD STAR. Grab a coffee and let’s roll. To answer the question from the finlit quiz, you need to understand the lender’s business objective. Contrary to their lovely marketing pieces, lenders are not in the business of making you happy or making your life easier. Those are pleasant by-products when things go well, but it’s not what moves the lender to offer products. Lenders are in the business of making money for their shareholders. Period. And that’s OK, but you need to know what that means for you. Keep in mind that lenders are not your friend. Their organizations may be packed to the rafters with friendly, caring people, but their objectives are not your objectives. In a nutshell, when a lender offers you a product, you need to ask yourself one question: Is this in my best interests? Forget about the lender; you just care about what’s in it for you. This does not make you selfish, by the way; it makes you savvy. OK, I’m paraphrasing, but you get the gist. And now the unsurprising bit: The rates they offer you in their renewal letter are not their best rates. They’re hoping you’ll sign and submit without so much as a peep. It makes it easy and more lucrative for them. No haggling, no reduction in rates, more interest in their pocket. To be fair to some lenders, the rates they offer are reasonably competitive, but even then, why wouldn’t you advocate for the very best deal you can get, which would get you a GOLD STAR in my game? “SO many people I know are chatting about mortgage renewals these days. I heard one friend today rant about how she saw a sign advertising a low rate for new mortgages, but she wasn’t offered it as a renewal. When another friend told her to march on in and demand the better rate, she was shocked that she could negotiate on the rate. Another gal in the group said that her credit union made “death insurance” mandatory on their mortgage. Yet another said they had to renew with their bank because they had their RRSPs there. And I was all WHAAAAAAT???? I am picking up the gauntlet, sort of, that Vanessa has flung to the ground and I’m creating my own Monopoly-inspired system in which people or institutions that spout rubbish (yes, I said that with my outside voice) get a card that reads “GO DIRECTLY TO THE DOG HOUSE”, with apologies to dogs everywhere. On the other hand, women who follow my recommendations will earn a personalized GOLD STAR and the star will be placed on my Wall of Women Rocking Their Finances. I am going to create such a wall in my office – not kidding here. To get your very own gold star (or several of them), you just need to take a bit of action. Read on. 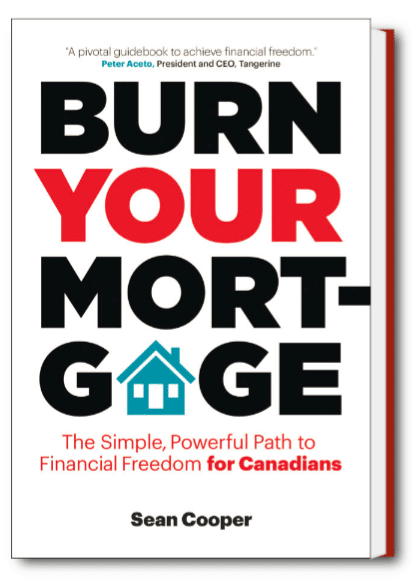 It’s a simple fact that mortgage brokers have more options at their disposal than bankers. Bankers only have their own sandbox from which to choose products. Brokers, on the other hand, have access to multiple lenders. They can quickly give you the lay of the land on who’s offering the best combo. Remember a few years ago when one of our Big Banks surprised everyone by offering an unbelievably low 5-year fixed rate and everyone was tripping over themselves to get at it? Did you read the fine print on that thing? The details were nasty! Heaven help you if you ever wanted or needed to leave that mortgage. You’d end up paying big-time. Jacquie noted that a few years ago, CIBC was faced with a class action lawsuit over penalty clauses in their mortgage contracts. Some lenders still have clauses that require homeowners to either sell their home or refinance with them. Forget about shopping around if you’re in one of these mortgages. They’ve got your cornered and they know it. It really is about so much more than the rate. At mortgage renewal time, talk to the broker who set up the mortgage initially and find out what competitive rates look like at that moment. Jacquie also suggests discussing what has happened in your life over the last five years. This isn’t necessarily a reflection of what lies ahead, but it will give you a sense of the volatility you’ve been through. It may be worth moving to a different lender or selecting a shorter term to get more flexibility. Plus, you’ll get a GOLD STAR for making the call. #2: Is that the best you can do? I have a simple rule: Never accept the first number they offer you, which in this case means that you will not sign the renewal documents without a peep. Once you’ve called your broker and had a conversation about the going rates as well as the term (i.e. 3-year? 5-year? ), call the lender. Remember that when you work with a broker at the time of purchase, they will help you obtain a mortgage through a lender, however they are not responsible for the renewal. The lender sends the renewal documents and they’re the ones with whom you must negotiate. In all the time that I’ve been dealing with mortgages, I’ve only encountered one lender who refused to budge on their initial offering. If that happens to you, you get to decide whether to stay or find financing elsewhere. You have the power of choice at your disposal. All it takes is a quick phone call, plus one or two questions. Is it OK to negotiate? When it comes to your finances and particularly your mortgage, many things are negotiable. Does it make you feel uncomfortable to think about negotiating with your banker? If so, you’re not alone. Feeling a bit of discomfort is a good thing. It means you’re leaving your comfort zone and growing. No discomfort, no growth. Remember, you are the one with the super powers. And just think of all the GOLD STARS you’ll earn by simply asking a few questions. If you’re in a tough financial situation and there is precisely one lender who will do business with you, that’s a challenge. Make 2019 your year to Rock Your Finances and get back to the Happy Land of Choice. Your superhero cape awaits. If ever there was a product that I love to hate, it’s this one. So, a Credit Union makes it compulsory, huh? Why deal with a lender who does this to you? They should be in the dog house! Here’s the deal with mortgage insurance: It’s a money-maker for brokers, but it’s a terrible deal for consumers. Why? Because you get a diminishing return for your money. Same premium all the way through, but less and less coverage, month in and month out. Let’s say you get a $200,000 mortgage and you agree to sign the forms included in the mortgage commitment documents in which you are offered mortgage insurance at some reasonable-sounding rate. Five years later, you’ve paid off a few thousand dollars in your mortgage, but you are still paying to insure the full amount borrowed five years ago. If, like Vanessa, you’re all “WHAAAAAAT?” you’d be right. It’s a terrible deal for you. While most of the mortgage brokers I’ve dealt with are amazing, honest people who instruct their clients to get term life insurance because it makes more sense and offers better protection, there are some who simply present the papers and don’t say a blessed thing. The justifications that I’ve heard are, “Well, it’s better than not having any insurance.” That’s a weak argument at best and it can be torn apart in seconds for 99.9% of people. Do yourself a favour. Talk to an insurance specialist to get a term policy. I agree wholeheartedly that you need insurance to cover the balance of your mortgage, but consider that for the same amount you pay for mortgage insurance, you get far greater coverage with term insurance. Plus, the value of the term policy doesn’t decrease over time. And by the way, have you read my book Protect Your Purse? There is WAY more to life insurance than just covering the mortgage. To be fully protected, you need sufficient life insurance. You are flying without much of a safety net if all you have is mortgage insurance. A GOLD STAR for you if you have term insurance. Mono-what, you say? No, it’s not a disease. Monolines are the latest, greatest thing in the world of mortgages. In short, they’re lenders who offer a single product: mortgages. That’s it. No credit cards, no savings accounts, no investments; just mortgages. A few examples of monoline lenders that are popular with my contacts in the mortgage brokerage world are Merix Financial, First National and Street Capital. The latter don’t have brick-and-mortar establishments like the Big Banks, which means they have lower operating costs and therefore, they can offer better rates (particularly variable rates), better prepayment privileges and better policies on penalties. If your broker recommends that you take a look at them for a purchase or a mortgage renewal, do it. Don’t worry; monoline lenders are fully regulated. You probably haven’t heard about them because you don’t see their buildings in every neighbourhood. Bona Normandeau, from CompleteMortgage.ca, points out another advantage to working with monoline lenders: They don’t try to cross-sell you. In other words, they’re not going to try to hit you up for a line of credit, a credit card or an investment when you work with them to obtain a mortgage. I’m throwing these into the mix because you need to be aware of them. They are a terrible idea for most people. In fact, I’m such a non-fan that I wrote this series on collateral mortgages. Before signing any mortgage document, ask your lender if this is a collateral mortgage or a standard charge mortgage. Stay away from the former. Don’t fall for their hype about making it easier for you to borrow money down the road. Collateral mortgages disproportionately benefit the lenders. For every action that you take in getting a better deal for yourself, I will add a gold star with your name on it to my Wall of Women Rocking Their Finances and I’ll send you a pic. Simply share your stories in the comments below. Let’s see if we can cover my office wall. Special thanks to Ollie, Vanessa’s dog, for agreeing to pose for this post. Love the line “the bank should be fined a fib card”. Good info on Mortgage Insurance, and thank you for listing the “Monoline” lenders. Thanks, Sandra. I love Vanessa’s line about the fib card, too. If I ever design a financial board game, that will be one of the first things I create!